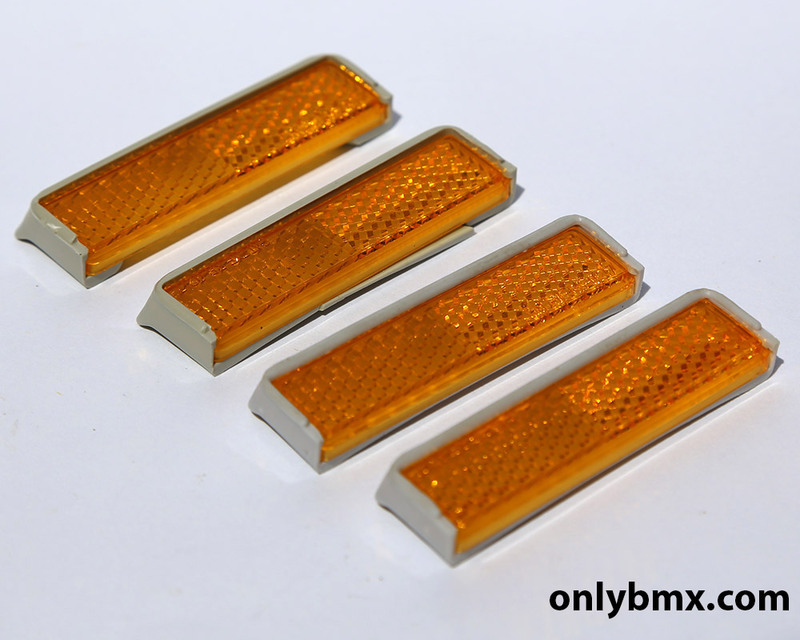 Shimano DX pedal reflectors. 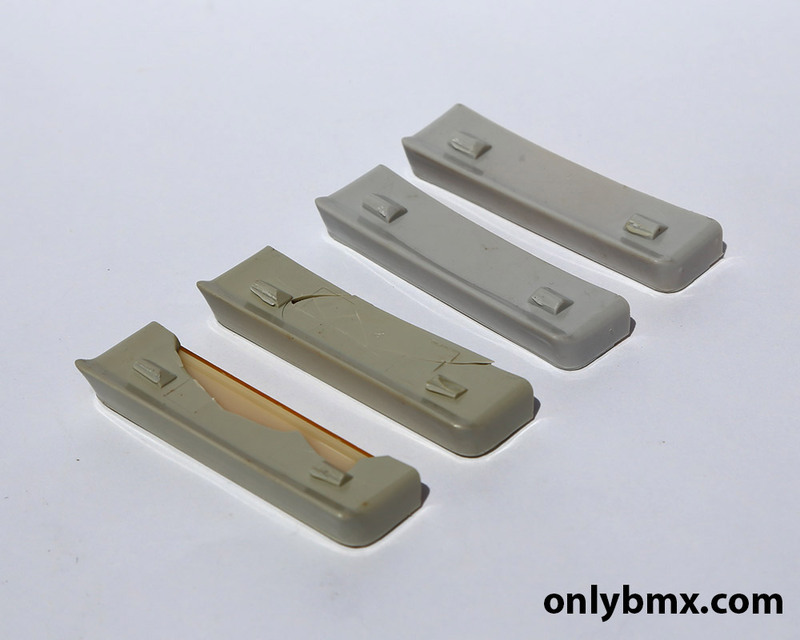 Yes we all took these off straight away to ‘save weight’ and they looked a bit ordinary. 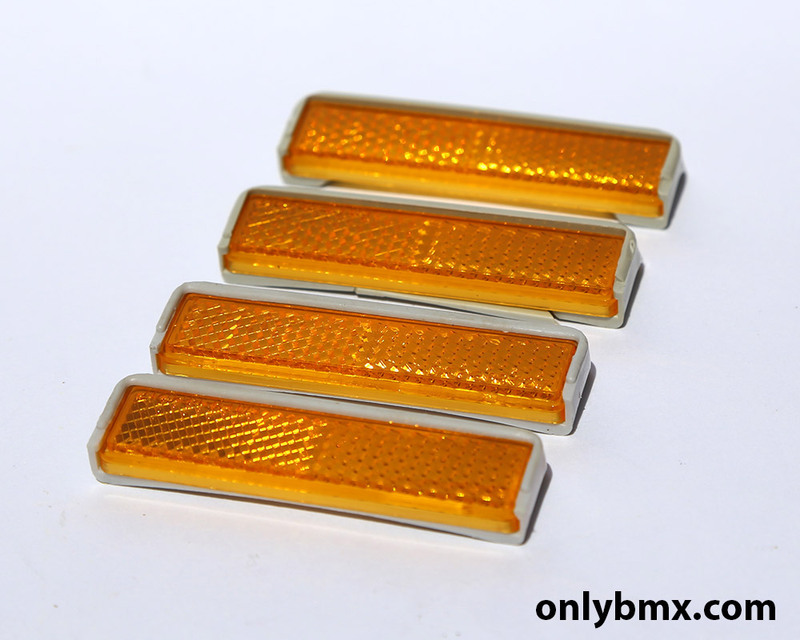 This is a set of four reflectors which is good for a pair of old school Shimano DX pedals. As can be seen in the photos, two of them are damaged on the back. From the front they still look fine and a lot of the damage would be hidden by the pedals anyway. Have been questioned as to whether these are NOS or not. In the interest of full disclosure I can’t be sure, however, to me they look unused and just damaged when being removed. 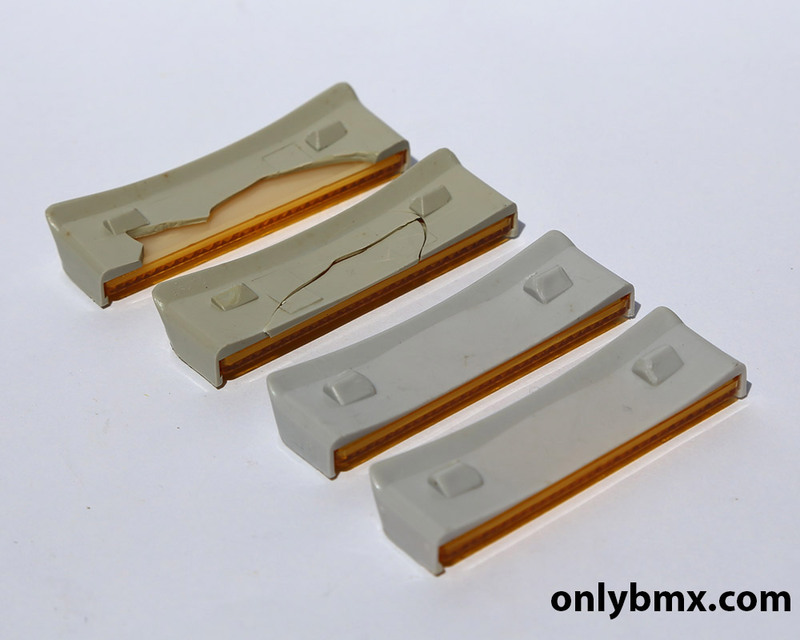 To enquire about this BMX part for sale, please complete the form below. Please note I am travelling at the moment and unable to ship anything. If you would like to be notified when I am able to ship then contact me and I will let you know.